Anthony Lasallie Coleman, 57, has been incarcerated since 1996, for constructive possession of guns and drugs. That means that although the items were not physically on his person, they were in a place deemed under his control. Coleman said he rented a motel room where the police discovered the contraband — that was enough under Californian law for a conviction. He was sentenced to 55 years to life under California’s Three Strikes Law. Since his incarceration, Coleman has come to terms with why he ended up in prison and what it will take to stay out, once released. Coleman said his incarceration experience began in the 1980s. 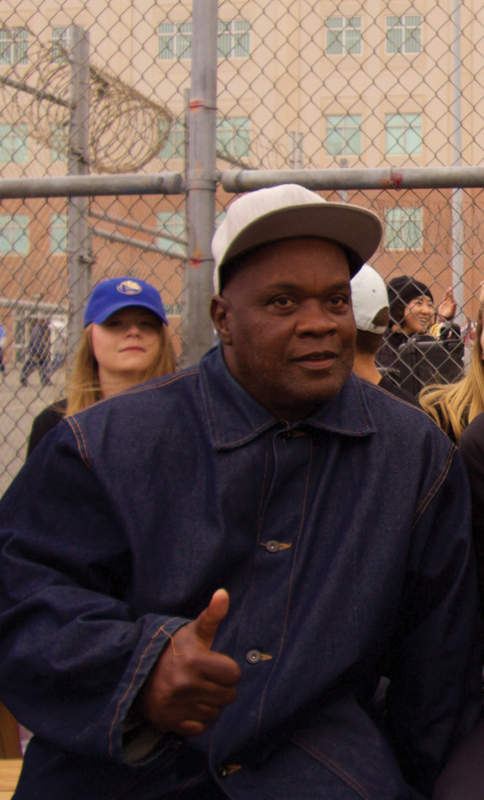 He ended up at San Quentin’s Tent City, in 1982, because of Kevin Cooper’s escaped from Chino. It was Coleman’s first term—and he said he was a gang member. He said gangbanging kept him misdirected and consequently, from 1984 through the 90s, he in was in and out of prison multiple times. In 1991, he was serving a parole violation in Chuckawalla State Prison. There, he met Todd Coleman. “Todd changed my thinking and outlook on White people. He mentored me and later became a friend,” Coleman said. Todd Coleman introduced Anthony Coleman to a reentry program, called TOPS (Transition of Prisoners). “Todd helped me change my thinking as I was searching for a change,” Coleman said. He got out, got married, got a “decent job,” and began a family. “But when my mother died, I fell back into addiction,” Coleman said. This resulted in his current incarceration and sentence of 55 years to life. Coleman said he struggled to come to terms with a long sentence and dim hopes of getting out of prison. First, he said he went back to school and earned his GED. His teachers recognized his efforts as well as an ability to communicate with younger inmates. He was asked to become a tutor — not only in academics, but also in life skills. Since then, Coleman has left the education department, but he’s still available to men on the prison yard for life lessons and, every now and then, to solve a math problem.